In context of our latest book recommendation we would also like to mention a couple of german publications around the enhancement debate. 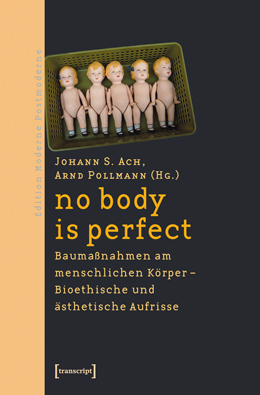 First of all the nicely compiled “No body is perfect” (Editors: Johann S. Ach, Arnd Pollmann), which compiles 17 positions on bodytuning from various disciplines (authors e.g. : Bettina Schöne-Seifert, Kurt Bayertz, Matthias Kettner, Kurt W. Schmidt, Julia Schoch or Ludwig Siep). From philosophical, cultural-scientific, medical-ethic and pschological perspectives, this book discusses the borders of transhuman expansions. 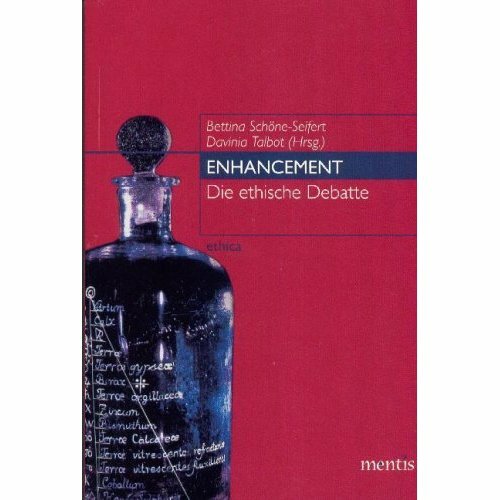 “Enhancement: Die ethische Debatte” (including articles by Jürgen Habermas, Peter Kramer, Eric T. Juengst, Dan W. Brock, Carl Elliott, David DeGrazia, Arthur Caplan, Francis Fukuyama). 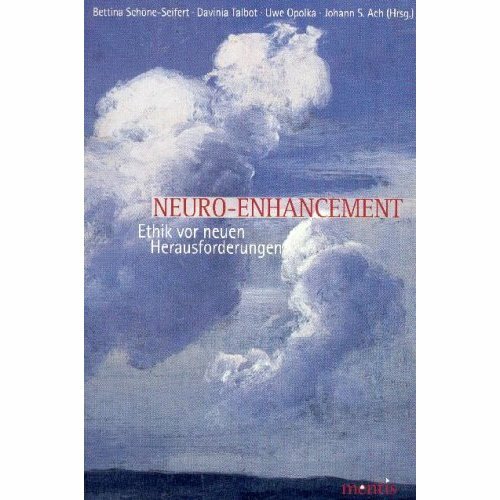 And “Neuro-Enhancement: Ethik vor neuen Herausforderungen”, which was co-edited by Johann S. Ach and Uwe Opolka and opens up a transdisciplinary discourse on ethical and social aspects of neuro-enhancement from various disciplines, such as philosophy, neuro-, medical-, law- and policital sciences. 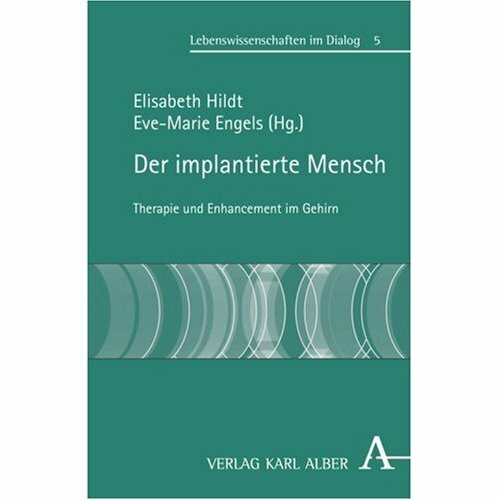 From a life-science perspective, Eve-Marie Engels and Elisabeth Hildt enrich the discourse with their edited book “Der implantierte Mensch: Therapie und Enhancement im Gehirn (Lebenswissenschaften im Dialog)”, published by Verlag Karl Alber. 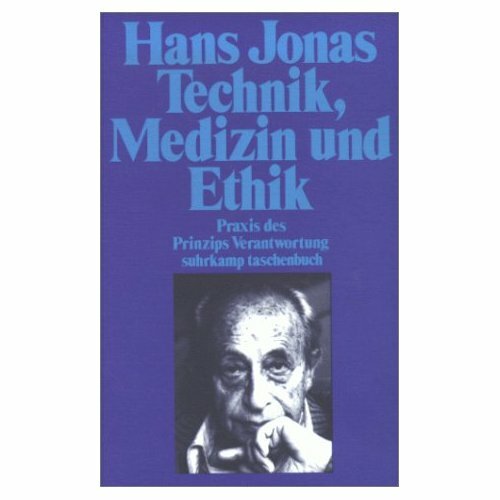 The book’s positions reach from anthroplogical to ethical and metatheoretical considerations amongst the fields of neurology, cognitive neuro-sciences, biophysics as well as philoshophical anthropology, philosophy of science or bioehtics. Altogether it includes questions concerning the relevance of categories like nature, technology or artificiality for the judgement of therapeutical approaches. 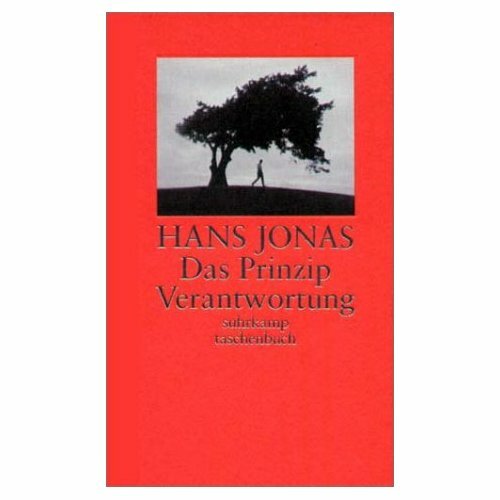 This recommendation list for german books shall be completed by two prior publications of philosopher Hans Jonas, both published by Suhrkamp: “Das Prinzip Verantwortung: Versuch einer Ethik für die technologische Zivilisation” (1979), and “Technik, Medizin und Ethik: Zur Praxis des Prinzips Verantwortung” (1985), in which Jonas tries to implement the “Prinzip Verantwortung” into paradigmatic cases in the fields of biological research and medical practice. This entry was posted in bioethic, body modification, Enhancement, implants, Literature, posthumanism, Transhumanity. Bookmark the permalink.